Abbotsford, BC -UPDATE – June 1 – Nicole has been found safe and sound in Chilliwack. MISSING: Abbotsford police are looking for 36-year-old Nicole Bakes. Bakes was last seen on Tuesday, May 26, at 2 p.m. at a home in central Abbotsford, where she was wearing grey tights and a grey hoodie with a “PHAT” logo on it. Bakes is 5-foot-6, 130 pounds, with blue eyes and blonde hair. Her family and friends are very concerned, as she has medical conditions that leave her weak and short of breath, but her medication is still at home. 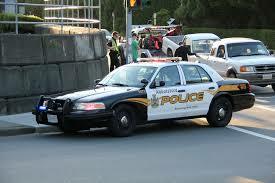 If you have any information where Bakes is, you’re asked to call the Abbotsford Police Department at 604-859-5225. Be the first to comment on "Abbotsford Police Looking For Missing Woman"